MTH Pumps is a commercial and industrial pump manufacturer serving a wide variety of markets and industries including boiler feed, condensate return, chillers / temperature controllers, water services, refrigeration, petroleum, as well as many chemical process applications. Our standard product lines include mechanically sealed regenerative turbines for low flow, high pressure, applications (1000 PSI & 150 GPM) as well as a line of small centrifugals (60 PSI & 100 GPM). We also have custom engineered products such as sealless canned versions of our turbine product lines as well as a large line of sealless canned centrifugals in ranges up to 300 PSI and 2000 GPM. 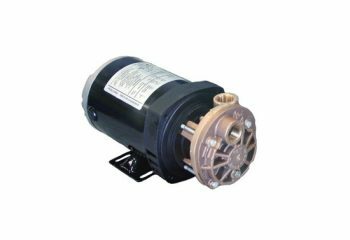 In fact, to our knowledge, MTH Pumps has the broadest line of turbine and sealless canned pump products available in the world.